EM: You are the CEO of ESGI celebrating your 17th year. Evan Scott: Yes, I am CEO and founder of ESGI. My firm handles senior level searches for federal contractors. The strategy from day one was based in our belief that the talent pool who understood federal contracting would not meet the demand. We were right. When searching for talent in Federal Contracting, commercial companies will not produce the qualifications needed for our federal contracting clients. Thus, the pool was limited to this sector and is very D.C-centric. When clients engage us to handle a search we have a head start because of the network we have cultivated in the community over the past 17 years. We measure our success on how well executives we’ve helped recruit perform one year into the job. This drives everything we do and am proud to have a 90% success rate. 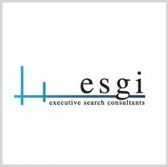 ESGI’s clients understand that hiring mistakes are just too costly. We have handled senior searches in every functional discipline. I also have the honor of being the Membership Chairman of The Homeland Security & Defense Business Council. This group was formed shortly after 9/11. Its sole mission was to help during the creation of DHS as it was attempting to integrate 24 agencies. Offering private sector advice and counsel during these times was critical to effectively protect our country. The mission today has not changed and the impact this group has had on DHS and DOJ is something to be very proud of. EM: How can a small disadvantaged business compete in today’s environment? Evan Scott: We work with many small and graduating (8a) businesses. Success or failure always begins with the CEO. It is not easy to start a business and even more difficult to grow a successful company in a full and open environment. Selecting the right contract vehicles and establishing a sophisticated business development and capture process from day one is critical. Pursue a diverse customer base and do not rely on one or two contracts you are awarded based on your small business designation. Select the right consultants and advisers who will tell you the truth. Hire talent that has already been where you want to go. Then you must retain this talent which takes investment and trust. Given the cost of hiring mistakes in a small business why wouldn’t a CEO reach out to a boutique professional search firm to increase the probabilities they hire the right people? Leaving this to the old boy network, web posts or contingency firms is a risky business decision. Attracting and hiring the right talent is everything. I have seen companies with great technology but an ineffective leadership team. It always fails. This is why the executive search profession continues to expand and prosper. Forward leaning leadership understands the value of a third party when it comes to their most important hires. There are several very good recruiters who, like me serve the federal market. Reach out to one of us when you are going to hire for a critical position. It will be the best investment you can make. Be sure to hire a partner that will give the care and attention necessary. I suggest using a smaller search group and working with founders like yourself. EM: As of today recognizing social media recruitment tools like LinkedIn, how has networking changed? Evan Scott: Networking has not changed since the beginning of time. Social media (i.e. LinkedIn) allows companies and recruiters to identify people more quickly. However, it still comes down to personal contact and creating a relationship with executives whom you want to hire. We found that the best talent is typically employed when the company is looking to fill an important position. Being pro active and approaching this talent pool will result in better outcomes. Retained executive search still offers companies the ultimate strategic advantage in the competition for accomplished talent. An experienced recruiter handling your search can make all the difference in the outcome. Retaining an executive search firm also sends a message to candidates that the company is serious about the role it needs filled. Always put yourself in the candidate’s shoes. How would you like to be approached and treated while considering a career move? When a company invests and is represented by a reputable search firm candidates will be more open and receptive. They understand the position is serious and the role is important to the company. EM: How can you attract diversity? How do you bring more commercial-focused talent reaching out to federal contractors? Evan Scott: Executive search is by far the most effective way to attract a diverse slate of candidates for any key position. When a client hires us to find qualified candidates with different views, capabilities and ideas, we follow the same process that allows us to attract talent for any position.. The company must be committed to this and insist their search partners are dedicated to the mission. I don’t think most companies push folks in my profession hard enough to bring in highly qualified diversity talent. Diversity has always been part of our DNA: We follow talent for a living and track diversity candidates. The majority of our searches result in offering our clients a diverse slate. Consider this: look at your employee population, investors and customers. The closer you represent the population that your business serves the more successful you will be in attracting talent. EM: What message are you trying to send out into the industry? 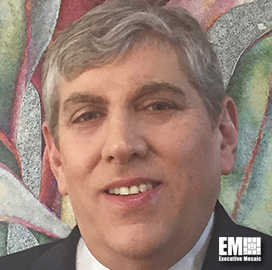 Evan Scott: If you want to increase the probability of attracting and hiring the best talent, use a reputable retainer based executive search firm. I am a true believer that you get what you pay for. Do not rely only on social media, employee referrals or old boy network to fill your most important positions. That is too restrictive and you will miss potential candidates. Recruitment fees cost your company less than having key positions remain open too long or hiring the wrong person. Reach out to search professionals who invest the time to really understand the culture and values of your company and will serve as a trusted partner. Try to avoid the instinct to hire your friends for key roles. Every position should be competed for both from within and outside of the organization. Hold your leadership accountable for succession planning and tie this to incentive compensation. If you really want diversity drive this through to your search partners. EM: Anything else you would like our readers to know? Evan Scott: We work with many folks from DOJ and DOD that are making the transition to the private sector. This is very fulfilling and a way to give back. People serving in Law Enforcement and the Military risk their lives every day to protect our way of life. When they reach a point in their career where they can’t afford to stay in public service, they need and deserve the attention of folks in my profession to help. They are looking for their second careers. My firm has been offering assistance to these great Americans for many years. We have tremendous respect for these men and women who serve. We ensure they have great resumes and coach them on how to interview with private sector companies. We steer them toward companies where we think their talent and interest will be best served. We also introduce them to our clients and try and help them find meaningful jobs. We recognize the power of executive search and the value we bring to the recruitment process. Impacting lives has always been high on my list. It is why I entered this profession. Careers are such an important part of people’s lives and we play a key role. This has always been satisfying and have made so many friends along the way. People remember who helped them during their career journey.